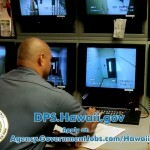 Adult Correction Officer Statewide Job Recruitment Now Open. Apply Online Today! Read More Adult Correction Officer Statewide Job Recruitment Now Open. Apply Online Today! Across PSD Newsletter, Volume 1, Issue3 Numerous Department of Public Safety accomplishments are highlighted in this edition. ACROSS PSD is a publication produced by the Public Information Office of the Hawai`i State Department of Public Safety.